“We want to show that we have not and will not forget our dearly departed brothers and sisters. 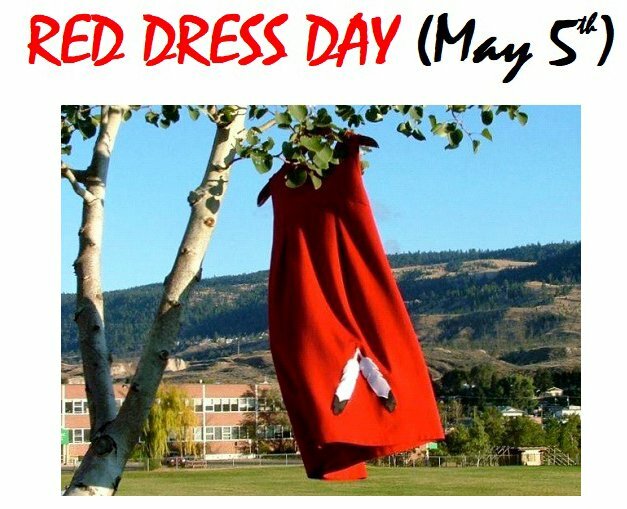 An invitation has been extended to attend Red Dress Day at Beaver Hills Park in Edmonton, 105 St. and Jasper Ave. on May 5. On that day, organizers plan to “adorn the park in red” to commemorate and honor murdered and missing Indigenous women and girls, men, and boys through ceremony for National Red Dress Day. A request is being made for anyone who plans to attend to wear red. There will be an open mic for families, survivors and supporters to share their stories. The event is hosted by Indigenous Lives Matter & Stolen Sisters & brothers Awareness Movement. Contact stolensistersawareness@hotmail.com for more information.